Take a peek at New Orleans' darker side with this 2-hour walking tour of ghosts, vampires, Voodoo, and hauntings. Walk through the French Quarter in the evening to explore some of the area's spookiest history. Meet your guide in the heart of the French Quarter in the evening to begin your fascinating look at the city's dark history. Since its founding, New Orleans has suffered more disease, disasters, destruction, and death than any other American city. Spirits are taken for granted here! The influence of Voodoo has been profound and it seems that almost every building has its own haunting story. Even the sidewalks and rooftops have their resident ghosts and spirits. 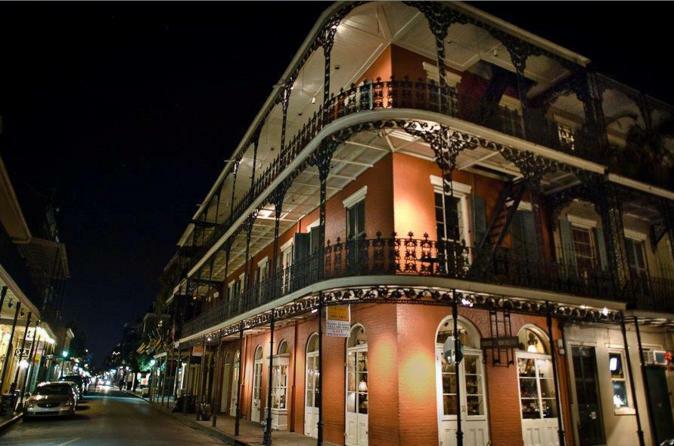 Enjoy an historical, fun-filled, and chilling after-dark walk around the Quarter's edges in search of the living dead with the company that has been offering a New Orleans haunted tour since 1992.